While I don’t have a mining rig like the one above(yet), I was able to successfully mine my 1st Hash yesterday. I then downloaded and installed an old CPU miner for my iMAC which I found from this old BitcoinTalk.org thread. Install was extremely straight forward. I used the Binaries for Mac OS X: http://sourceforge.net/projects/cpuminer/files/pooler-cpuminer-2.3.2-osx64.zip (64-bit) for my iMac. 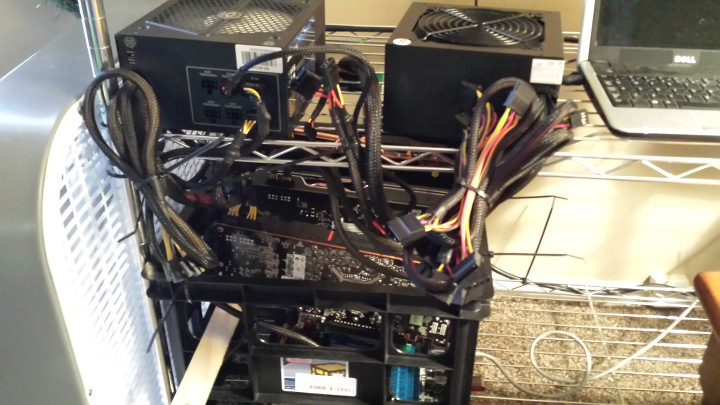 First, I decided to join a mining pool to get started so that I could see immediate results. For my 1st mining pool I selected Multipool, which allows you to mine the most profitable coin at the moment. I then signed up @ Cryptsy, which allows me to trade any coins which I have mined through Multipool. 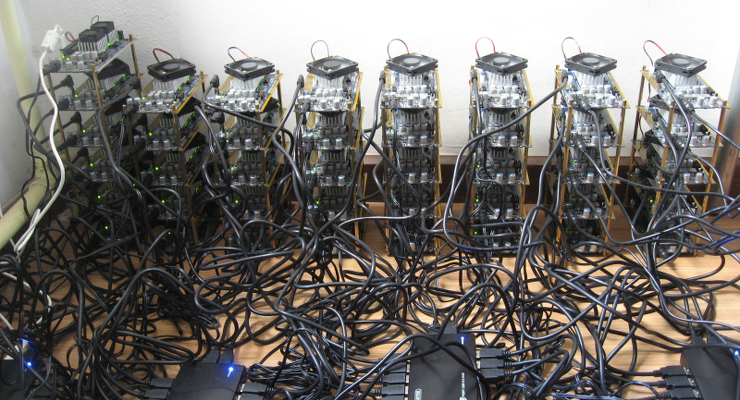 Ok, so it’s not much of a hash rate (1.46 khash/s), nor a mining rig. But it’s a start. We are all newbies at one time.